Oil and Natural Gas Corporation Limited (ONGC) is state owned Oil and Natural Gas company founded on 14 Aug 1956. It is a Fortune Global 500 company ranked 413, and contributes 77% of India's crude oil production and 81% of India's natural gas production. It is the second highest profit making corporation in India. Indian government holds 74.14% equity stake in this company. ONGC is Asia's largest and most active company involved in exploration and production of oil. It is involved in exploring for and exploiting hydrocarbons in 26 sedimentary basins of India. It produces about 30% of India's crude oil requirement. It owns and operates more than 11,000 kilometres of pipelines in India. In 2010, it stood at 18th position in the Platts Top 250 Global Energy Company Rankings. It has revenue of $21.447 billion & 36826 employees (in 2010) and having headquartered at Dehradun, Uttaranchal. ONGC Videsh is the international arm of ONGC. ONGC has made major investments in Vietnam, Sakhalin and Sudan and earned its first hydrocarbon revenue from its investment in Vietnam. The 2009 CSR guidelines define ONGC's role on corporate social responsibility emphasizing transformation of the organization from "Philanthropy" to "stakeholder participation". ONGC which has been given the status of a 'maharatna' by the government will be striving to get the same status in Corporate Social Responsibility, said A. A. Khan, Executive Director, ONGC Rajahmundry Asset. Entrepreneurship (self help and livelihood generation) schemes. Infrastructure support near our operational areas. Environment protection, ecological conservation, promotion. Protection of heritage sites, UNESCO heritage monuments etc. Promotion of artisans, craftsman, musicians, artists etc. for preservation of heritage, art and culture. Women's empowerment, girl child development, gender sensitive projects. Promoting sports/sports persons; supporting agencies promoting sports/sports persons. 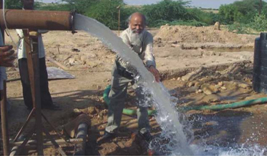 Water management including ground water recharge. Initiatives for physically and mentally challenged. Sponsorship of seminars, conferences, workshops etc. Financial assistance to Anganwadis in Western region. Akshay Patra foundation for modern kitchen to facilitate mid day meals for school children in Andhra Pradesh. Tamana special school for computer centre for disabled children. Bralle machine for blind children of north Eastern states. Himalayan school society, Dehradun for scholarship to adopted underprivileged girl students affected by Tsunami. Vocational educational centres for women in southern region. Support for Institution of engineers. Financial support for Bal Bhavan, Dehradun. Post Orissa cyclone relief and rehabilitation work, reconstruction of 500 house for people below poverty line. Relief and Rehabilitation of Gujarat victims. Rehabilitation of Kargil war victims- employment to 50 war disabled soldiers and 20 war widows. Post Tsunami relief measures in affected areas of Karaikal, Nagapattinam and Tharagambadi. 1000 blankets through Indian army along with one day salary of employee for earthquake affected people. 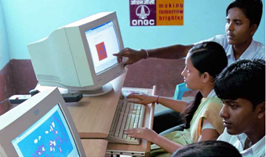 January 19, 2010 : Hemophilia Federation (India) (HFI) and Oil and Natural Gas Corporation (ONGC) have come together with a vision to transform lives of Children with Hemophilia (CwH) through education, with the formal launch of Project HEAT. The ONGC-funded and HFI-implemented Hemophiliacs Education and Transformation (HEAT) project will benefit 1000 CwH in its first year of operations. Under HEAT, the NGO would identify 1000 CwH from across the country that are schooling, between 5 and 18 years of age, and living below the poverty line. Further, HFI would also ensure regular project reporting after the project is successfully implemented. ONGC would support the project financially for one year, and plans to extend it further depending on the progress of Educational and Transformational impact. "ONGC support is a milestone in the history of CwH of the country. With this, they will be able to dream, and see a silver lining in their hitherto-dark horizons. HFI is determined to execute the project successfully and educate even more children in the following years", said a hopeful Dr Suresh Hanagavadi, President, HFI, while briefing about HEAT, one of HFI's first of its kind projects. Earlier too, ONGC has come forward to support HFI in more ways than one. Advertising in HFI publications, and support for organizing Usha Utthup's nite in Mumbai are some of them. The organization based in Muzaffarnagar in rural India is catering to the welfare of the needy including arrangements of training to mentally impaired children and helping the aged person, widows etc. They were facing a very simple problem of safe transportation of differently abled children from their residences to the institute. ONGC intervened to provide a van for the safe transportation and to help them tide over their problems. Over the next five years, we contemplate providing comprehensive healthcare support through 20 Mobile Medicare Units to two lakhs elderly persons across the country. We have promoted a novel campaign to nurture environmental movement amongst school children of three Kendriya Vidyalaya's. ONGC is working to preserve four heritage archaeological monuments in the state of Assam. Effective FY 2009-10, Board of Directors has decided to allocate 2% of the net profit of previous fiscal as our CSR budget. 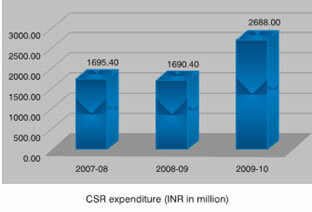 We envisage an investment of approximately INR 3200 millions in FY 2010-11. Golden Peacock Award for Excellence in Corporate Social Responsibility in Emerging Economies' 2006 - by World Council for Corporate Governance, UK. The Gold Trophy for SCOPE meritorious award for Corporate Social Responsibility & Responsiveness for the year 2007-08 and Gold Trophy for R&D, Technology Development & Innovation for the year 2008-09.